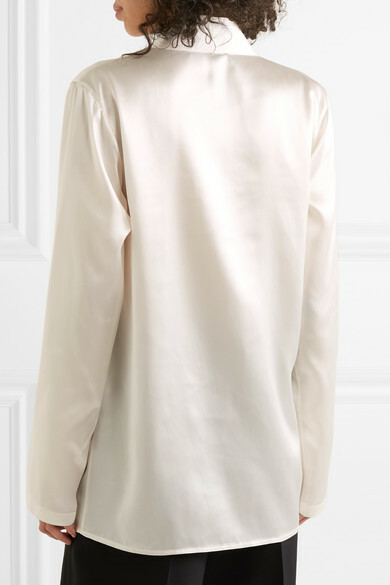 Haider Ackermann's ivory shirt is a dressier alternative to crisp white cotton styles, so it's the perfect choice for big days at the office, interviews or dinner dates. 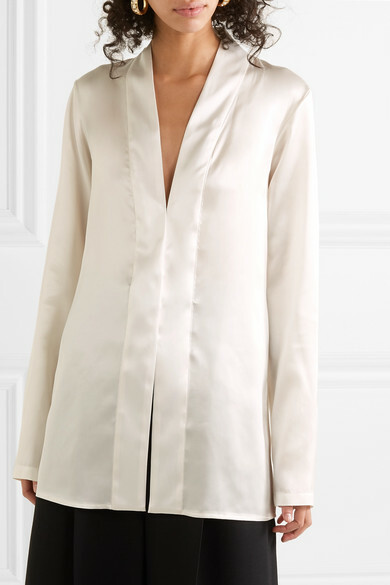 It's cut for a slightly loose fit from glossy silk-satin and has a plunging neckline. Tuck it into high-waisted black pants or a printed midi skirt. 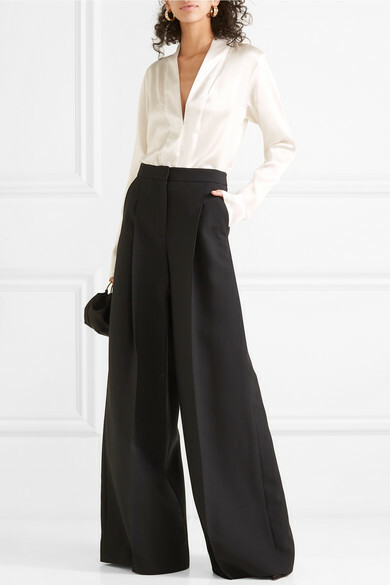 Shown here with: Alexander McQueen Pants, The Row Tote, Christian Louboutin Pumps.